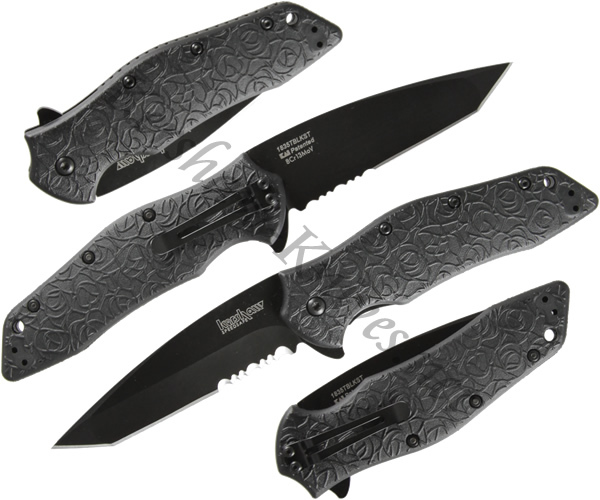 The all black Kershaw Kuro Tanto Knife 1835TBLKST is an eye-catching design. The glass filled nylon handle features a uniquely textured handle that makes a stylish statement. 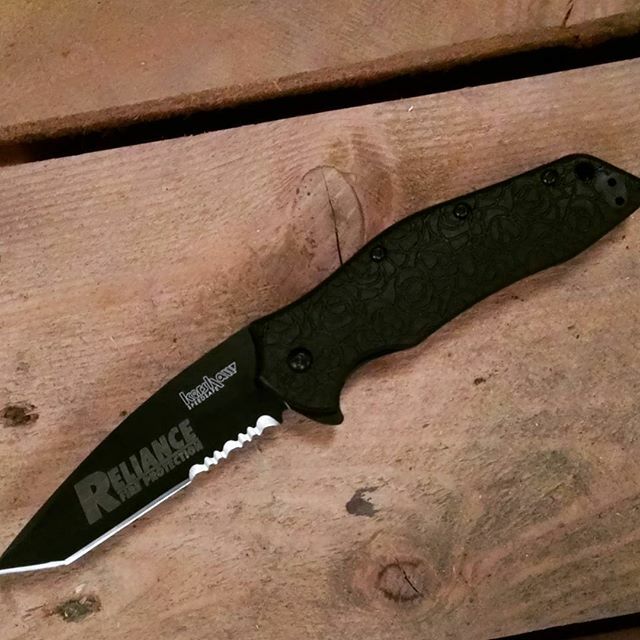 The blade is a partially serrated tanto design constructed of 8Cr13MoV stainless steel with a black oxide coating. 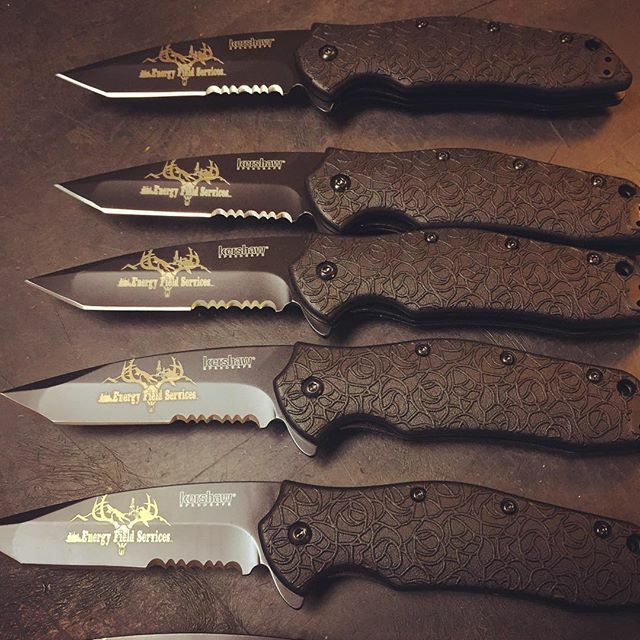 Ambidextrous, assisted opening is made easy with the inclusion of a flipper on the back of the handle. The blade locks into place with a liner lock. 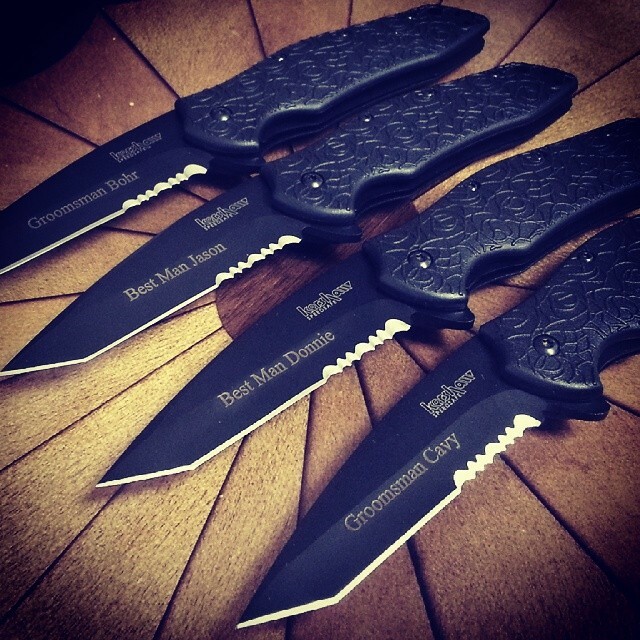 Carrying options include utilizing the lanyard hole or the adjustable clip.